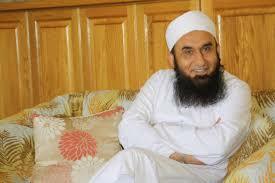 Maulana Tariq Jameel was born in Mian Channu, Khanewal on 1st of October, 1953. He is a world-famous, religious scholar, public speaker, and preacher from Pakistan. Maulana Tariq Jameel’s father comes from a community of Muslim Rajputs. 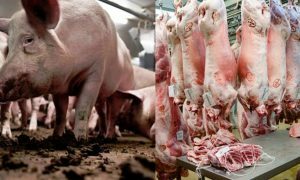 He served in the agriculture sector having his own lands and was a well-respected person in the agricultural market and the locality he resided. 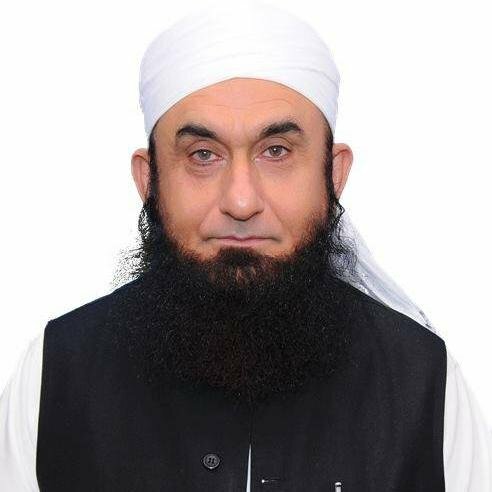 Today, Maulana Tariq Jameel holds a staggering respect in the eyes of people and holds a prominent position in the list of popular speakers in the 2013/14 edition of the book, The Muslim 500. 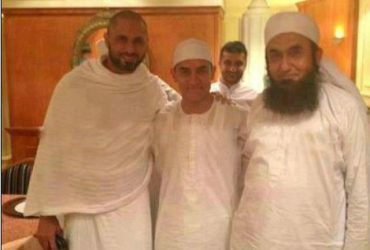 Tariq Jameel always found a healthy prospect of education in his family. His home environment always encouraged pursuing highest education and also engage in research. Maulana attended school and acquired Higher Secondary School education in the Pre-medical field. 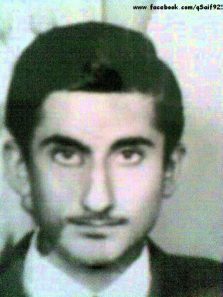 He attended a local Government College University in Lahore. Later on, Maulana acquired admission in the King Edward Medical College, Lahore. 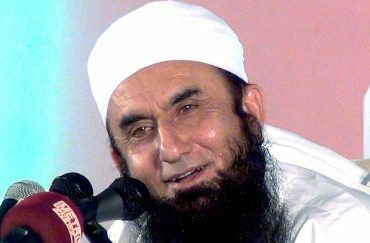 Maulana Tariq Jameel wished to pursue MBBS, but soon after college, he was shot through a spiritual enlightenment. Thereafter, he channeled his interest towards spiritual teachings and was immensely inclined towards it. He switched from Medical education to Islamic education. He acquired his Islamic education from Jamia Arabia that is situated in Raiwind, an area close to Lahore. In this institution, Maulana Tariq Jameel studied Qur’an, Sharia, Hadith, Logic, Tasawwuf and Fiqh. During his life in a hostel in Lahore, Maulana went through a spiritual revival. It was primarily due to the group members of a Tablighi Jamaat who he spent time. He got accustomed to their company became a regular in their gathering during his college. 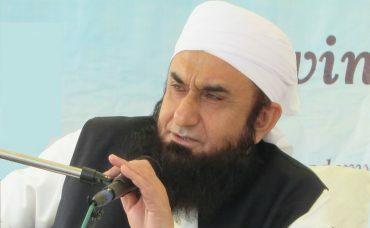 As a religious scholar, Maulana Tariq Jameel actively delivers speeches and lectures. He encourages many people to follow Islamic and the values our religion sheds light on. He has compiled the Islamic beliefs into practical ways for every Muslim and it continues to serve as a comprehensive guide for anyone looking for guidance. Maulana Tariq Jameel’s take on faith is a non-political and non-sectarian one. He defies all conflicting beliefs and assertively proclaims that the religion is for all. For the same cause, Maulana has traveled the world far wide preaching the beautiful message of Islam. By now, he has delivered thousands of lectures and inspired millions of people across the globe. Maulana Tariq Jameel has always had an eye for knowledge. In order to embrace knowledge to its maximum potential and research on the core, outlining terms, Maulana learned the Arabic language. He mastered the Arabic dialect and quenched his thirst for research. Maulana Tariq Jameel has a charming personality. He is very humble and tolerant. He is a great listener and has always provided accountable solutions to the queries of people summoned during his lectures. He has combined logic and reason with religious teachings and presents our religion Islam in a practical approach to Muslims. His lectures have given him immense fame and he is one of the many respected scholars, lecturers, and preachers in the world. 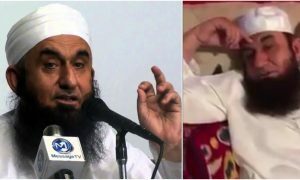 Contrary to the popular misconception regarding the religion Islam, Maulana Tariq Jameel has laid immense stress on turning the minds of people about the religion that it Islam hails for peace. His lectures assimilate a wide range of scientific references to satisfy the logic and reasoning aspects. He has always emphasized on self-purification, negating violence and hate speech and hate intently towards remembrance of Allah (SWT)’s and follow the Sunnah of Holy Prophet (PBUH). 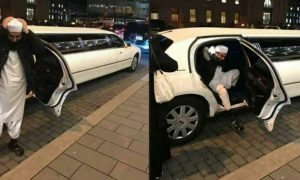 Tariq Jameel is supremely admired for his lectures and his modest lifestyle. He is a very simple man and does not boast off his abilities and honors. He holds a respectable reputation in the hearts of millions of Muslim because he is a perfect depiction of what our religion Islam teaches us to be like. It is, if today’s culture has a man who perfectly fits the custom and merit of Islam, Tariq Jameel finishes along the lines. He has a unique style of explaining Islamic teachings to people who attend his lectures. His heartfelt emotions are often depicted into his lectures which strike an emotional and passionate nerve with people listening to him. Maulana Tariq Jameel’s style is eloquent and distinctive in nature. He always explains the purpose of human life on earth and the earthly creations. He always takes references of science to support his points. Whether it be any kind of community, Maulana Tariq Jameel is well respected. He has delivered lectures to many businessmen, landlords, government officials, athletes, celebrities, politicians and etc. He has inspired many famous people towards the path of faith as well. His ability to turn the hearts of many is praised. He taught famous Pakistani cricketers. 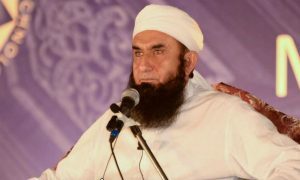 The likes of Saeed Anwar, Mohammad Yousuf – who was previously a Christian – Inzamam-ul-Haq, Saqlain Mushtaq, Saleem Malik and Mushtaq Ahmed are some of the famous sports personalities who have had a spiritual revival, all thanks to Maulana Tariq Jameel. He was also an inspiration to the late Junaid Jamshed. The singer turned evangelist went through his spiritual revival by the help of Tariq Jameel. 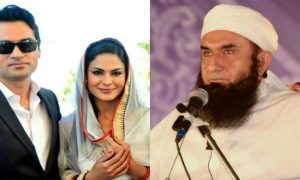 Pakistani actress Veena Malik also sought her spiritual revival with the help of Maulana. He brought a positive change in her life after she was supposedly found astray in her life. She claimed to quit the showbiz industry and married Asad Khattak, which were significant changes that she brought in life. Many reports suggest that Maulana Tariq Jameel advised PTI Chairman Imran Khan as well. He requested him to conduct his “Azadi March” in the most peaceful way possible. Imran Khan was greatly influenced by Maulana and decided to change the name of his protest from “Tsunami March” to “Azadi March”. 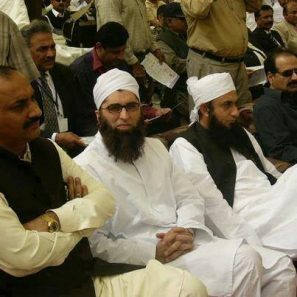 Maulana Tariq Jameel has always been working close with the government for the Tableeghi arrangements. He invited Prime Minister Nawaz Sharif to participate in a Tableeghi Ijtima held once in Raiwind Markaz. 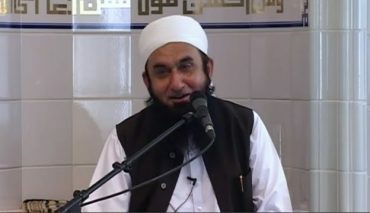 Maulana Tariq Jameel’s lectures are available online in many outlets.